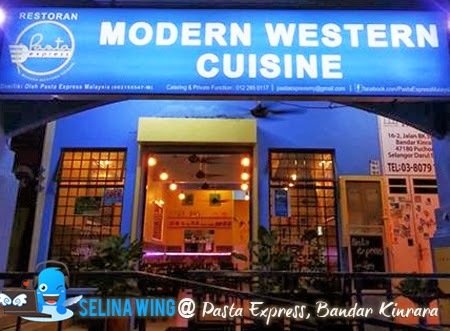 My sister and I planned go to eat dinner at outside, until we found the Pasta Express Malaysia is the modern western cuisine restaurant in Bandar Kinara 5B, Puchong! 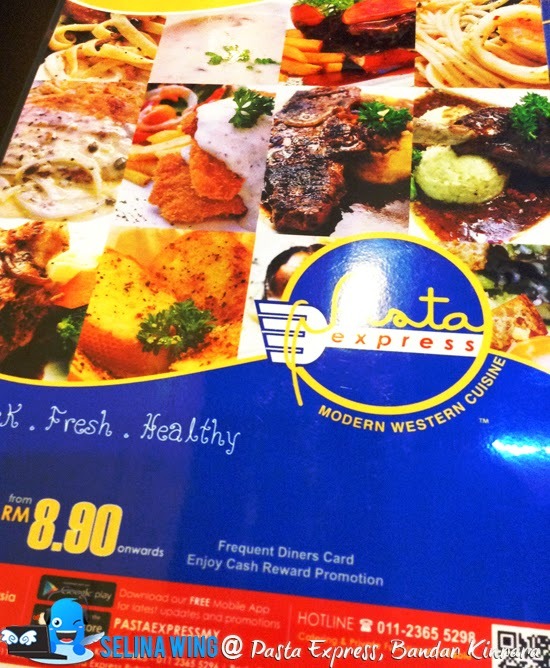 I am not sure what is it, but many malay people really love this western food from Pasta Express Malaysia! Good news, the KID' MEALS are FREE for all days! I think that interior design are very beautiful, I love the yellow, blue and white theme combined together to make us felt comfortable and happy in our light mood! I shocked that there is a cute table for the kids who sit with small chairs! 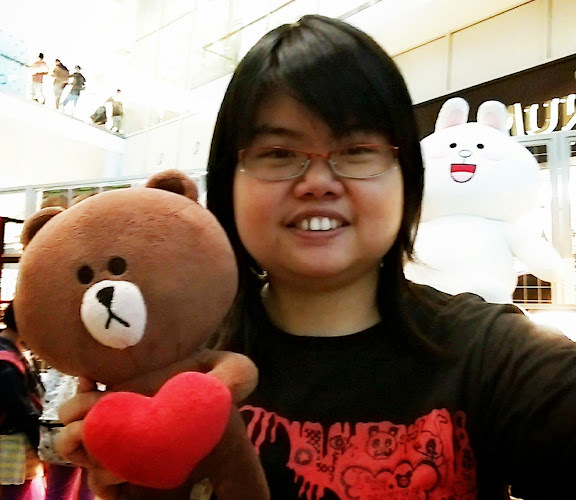 It is really cute! The kids can get FREE meals if your family bring the kids! It is very worth to save money, ya! 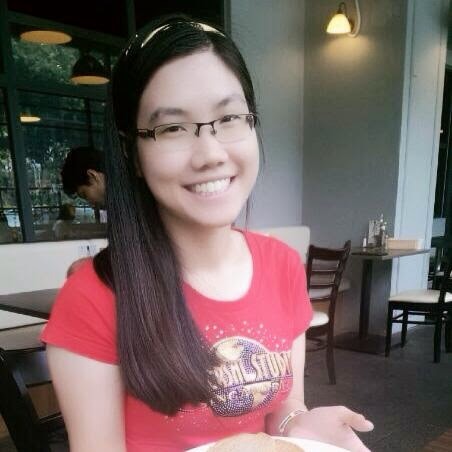 My sister and I felt that the price are reasonable because each dish are bigger, make us very full! 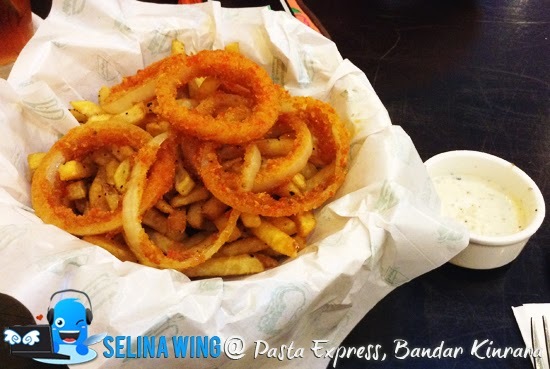 We ordered that the onion rings + fries priced RM 8 only. I think to try new Grilled Chicken Chop, but they told me that it's frozen cold so it need to wait for one hour because they make sure that it will be melt. So, I changed to "Grilled Salmon" priced around RM 20+. 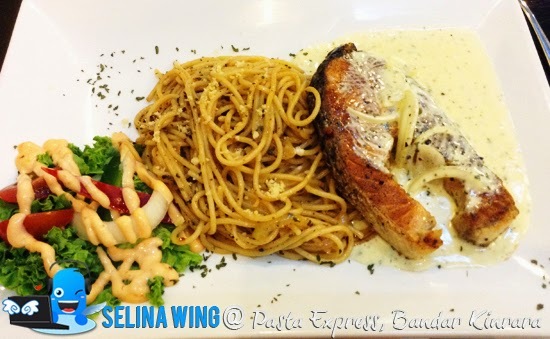 I surprised that my Grilled Salmon with cream sauce get the add-on, such as salad, and spaghetti! It is very delicious! 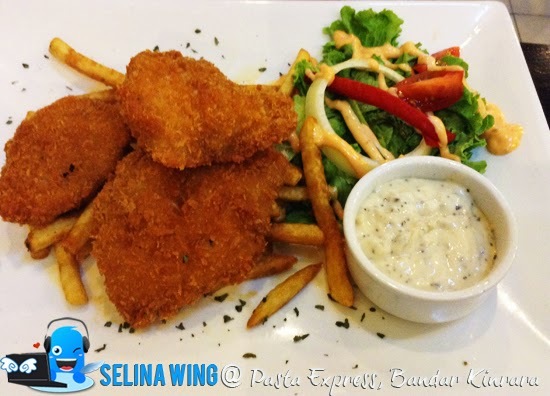 Below, my sister's order are Fish & Chip, it also have add-on; fries, mayo sauce and salad. We felt that the fries are very soft, easy to bite! This price are around RM 18+. 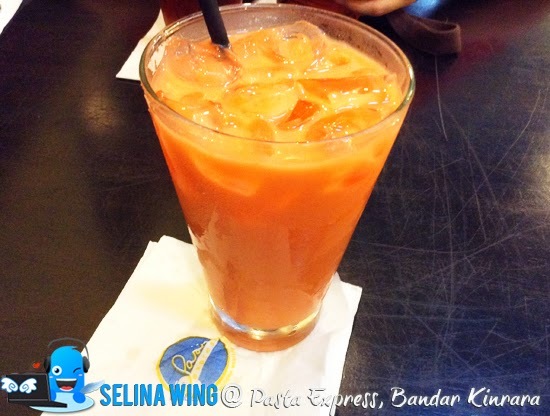 Finally, I got a drink - Carrot Milk, it help to increase my sight eyes. Hehe. My sis and I really love to drink the Carrot always since we are kids. Only priced RM 5-6+. 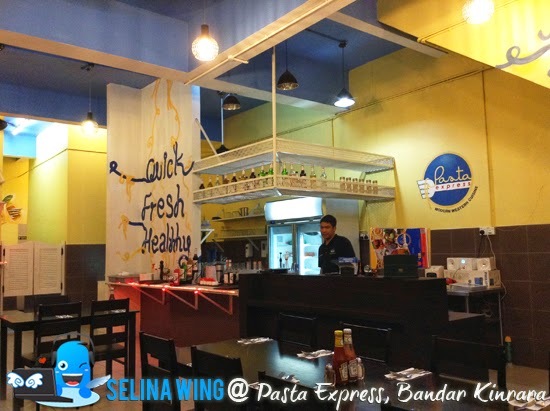 I recommended Pasta Express Malaysia for you all to try new different, especially their specialty are pasta and spaghetti! I heard that they can do FREE delivery for your nearly home and office. Next time, I will take my family and friends to try it one day! 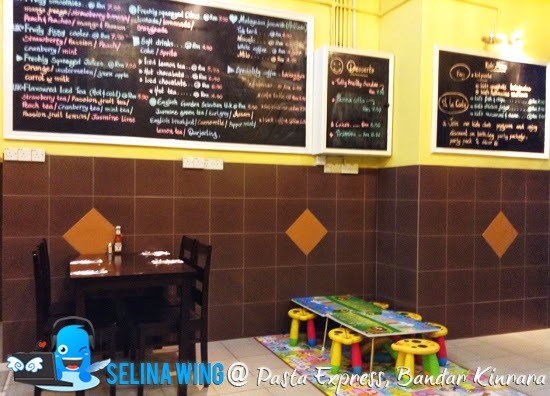 If you want to know more details, please download Pasta Express Malaysia: iTunes Apple and Android, Google Play. 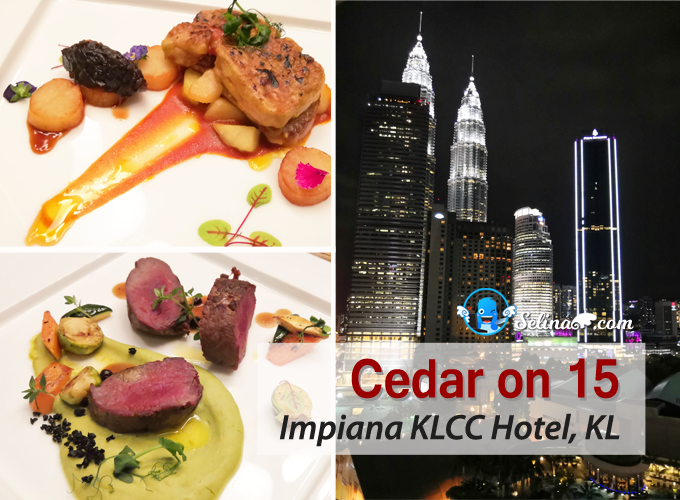 With this app, you can have the latest info, check on their menu offerings, latest recipes, new promotions, or new outlet opening and many...! It is HALAL restaurant, that is why malay people really love it!